No more copy and paste using your Notes app or text replacement. 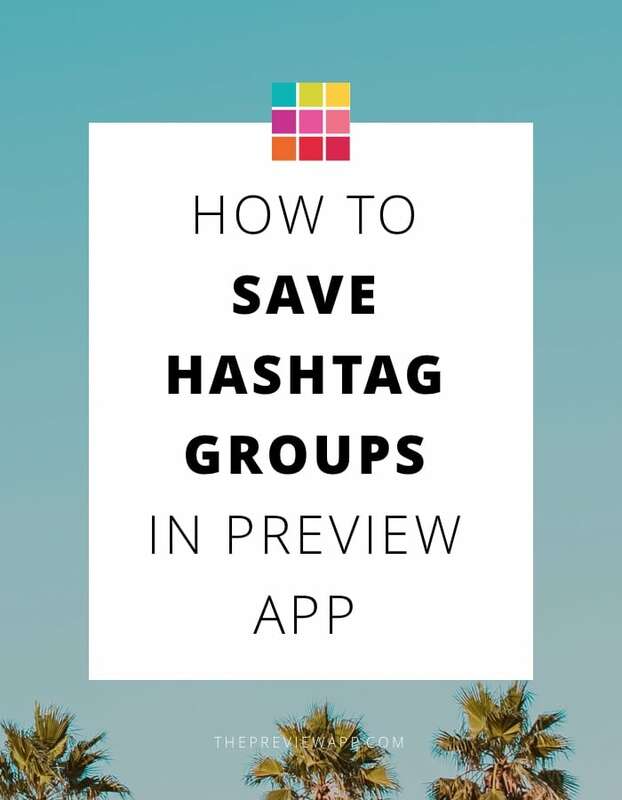 I’m going to show your how to save hashtag groups in Preview App. 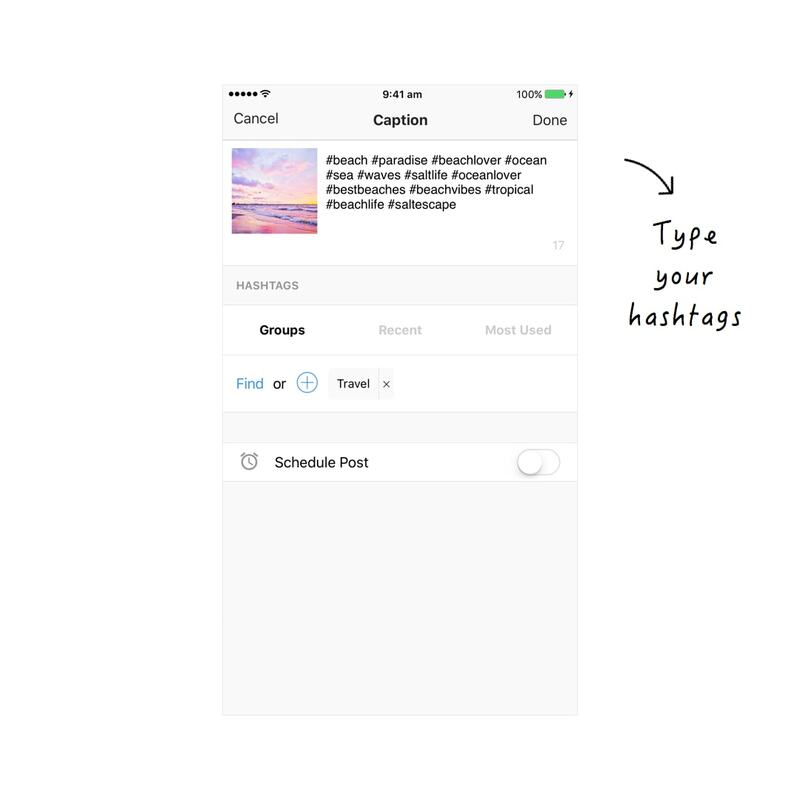 Your hashtag groups will be automatically tested by Preview. You will know which one gets you the most likes, comments and engagement. What you see below is my scheduled feed inside Preview App. Now write your hashtags in your caption. 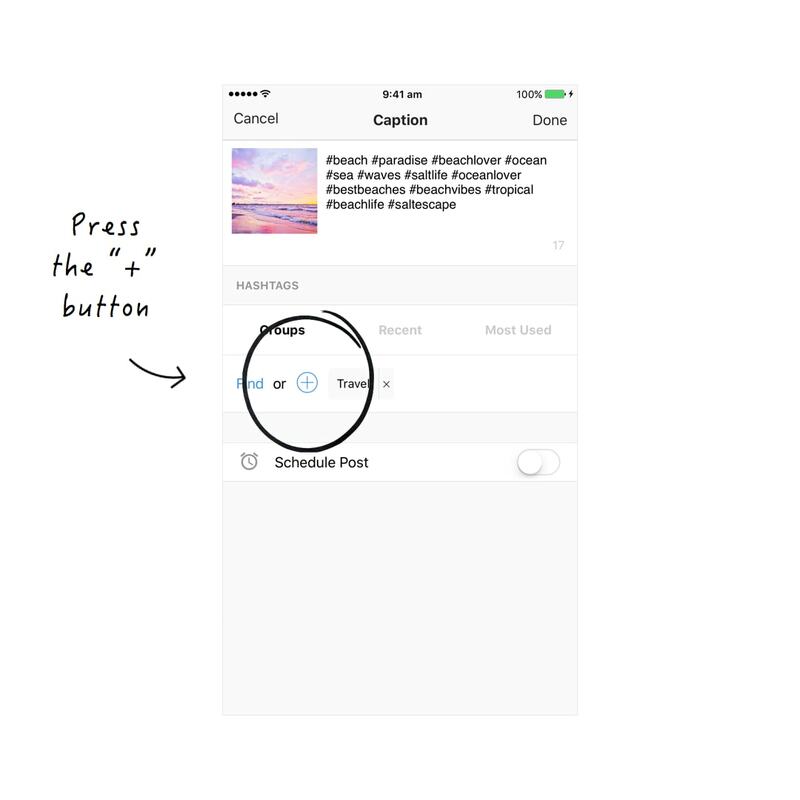 Quick tip: You will see a countdown in the bottom right corner of your caption screen. Instagram only allows 30 hashtags per post. Keep an eye on the countdown. It will turn red if you go over 30 hashtags. 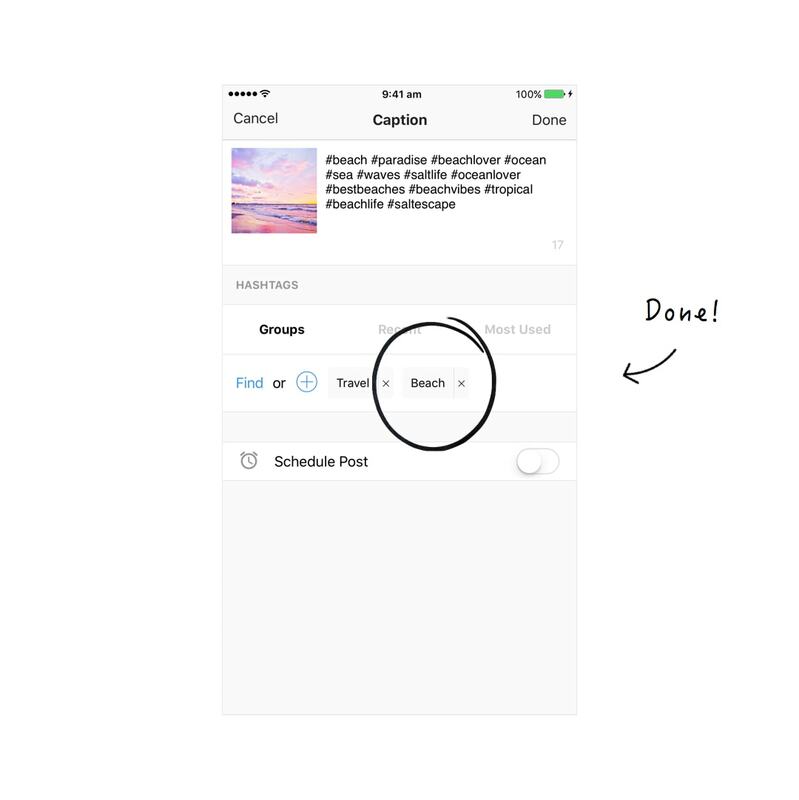 Now press the “+” button to save your Instagram hashtag group. A little window will pop up. Give a name to your new hashtag group. I will call mine “Beach”. Your hashtag group is now saved in your Preview App. Just tap on your hashtag group to add it in your future caption. Select the photo you want to post. 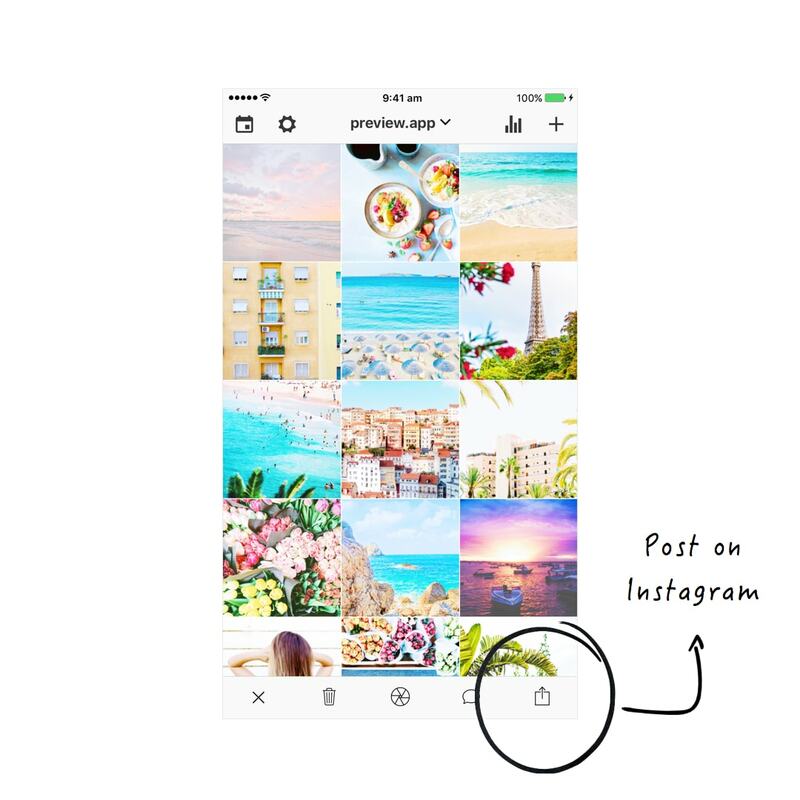 Press the “Export” icon to share your post on Instagram. Your caption and hashtags are automatically copied by Preview. 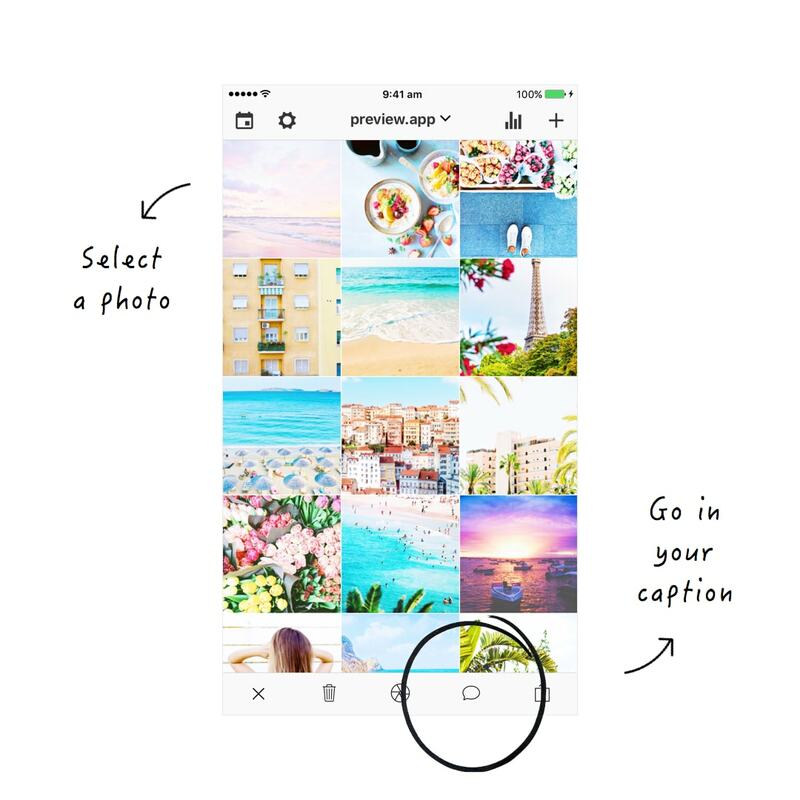 Just paste them in your caption on Instagram. The amazing thing about saving your hashtag groups in Preview is that you can test them. Post on Instagram as usual using your new hashtag groups. 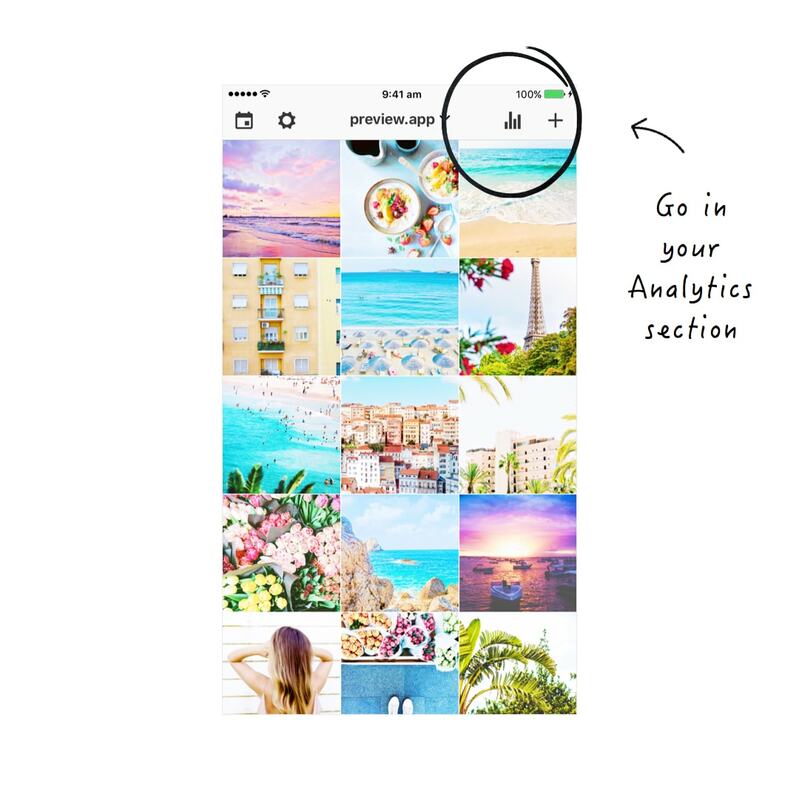 Preview App comes with an Instagram analytics section. Inside, you will see your top hashtags and top hashtag groups. Testing your hashtag groups are very important if you want to grow your account. Hashtags are the way people find your Instagram account. So if you use the right hashtags (and combination of hashtags = hashtag group), you will grow faster. 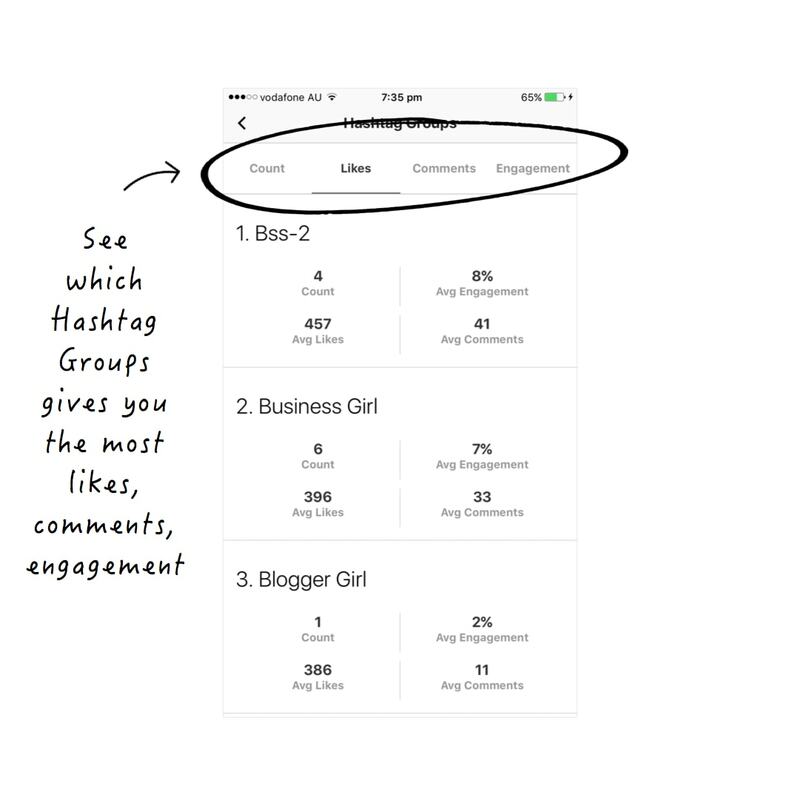 Your turn to save your Instagram hashtag groups! 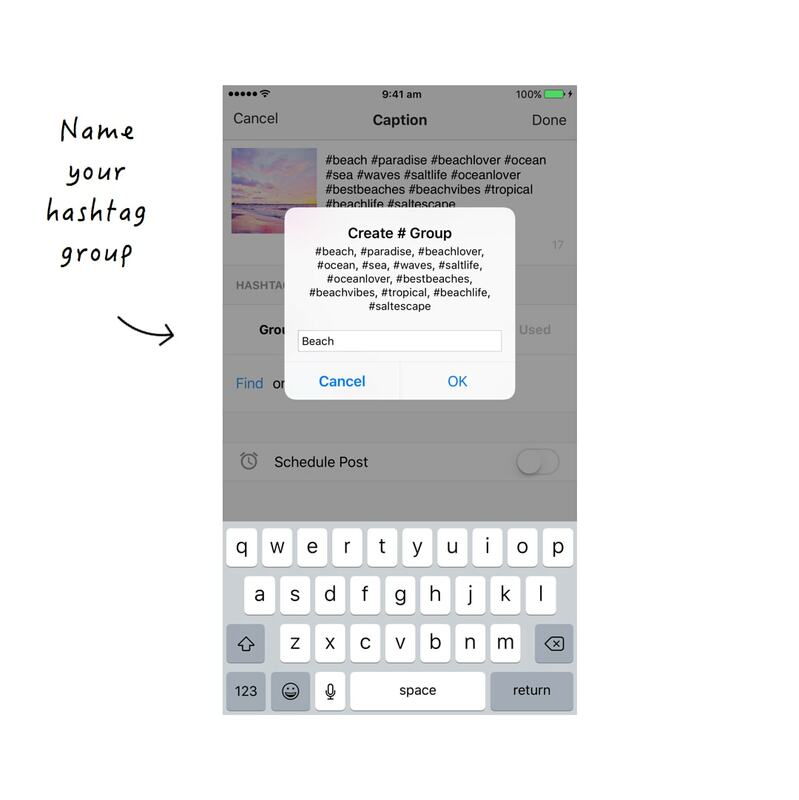 If you don’t know where to start, I recommend you save 4 – 5 hashtag groups in Preview. 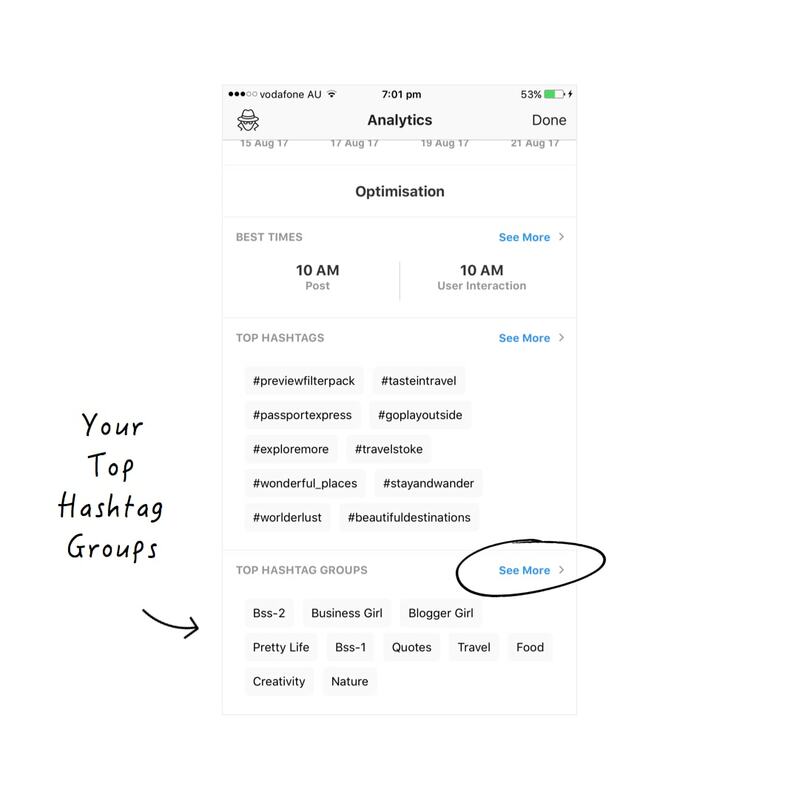 It’s a good start to vary your hashtag groups and test which ones are the best for your accounts. Until next time, see you all on Instagram (@preview.app) for more tips, tricks and Instagram theme ideas.